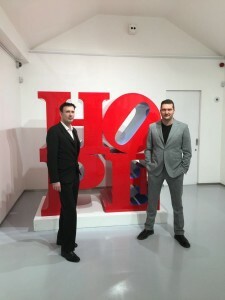 Cristian Contini and Diego Giolitti are the directors of Contini Art UK, which launched two years ago with a gallery on New Bond Street. A second generation gallerist, Cristianhas over 20 years of experience working alongside his father – and he has certainly acquired a curatorial expertise in that time. Just as his father, based in Venice and Cortina, dealt in the great modernists of his generation (think Picasso and Chagall), Cristian’s gallery is one of the destinations for the best in contemporary art. With Contini Art, and its inaugural London gallery, Cristian has taken a family tradition into the realm of the international brand. We hope to see and hear more from Contini Art in the future. For now, here is our brief chat with Cristian about his life’s work. The Art Collector: Tell us your story. I’ve spent most of my life in Italy, working alongside my father. In the late ‘80s we worked with the likes of Fernando Botero and Igor Mitoraj. 20 years ago I started to focus more on contemporary art and in 1996 I started the first free art magazine in Italy that focused on art, design, architecture and jewellery. It’s still in print after 20 years. It’s a hobby but it is also a platform for presenting new artists and a conduit for publishing news on the gallery. Five years ago I decided to move outside the boundaries of Italy and open a gallery abroad. My dream was to find a place in London; it’s a city that I’ve always loved. I wanted to find the right location for a contemporary art gallery and New Bond street was the most appealing location. People have asked me why I didn’t open in New York, Switzerland or in Monaco and the answer is always the same: London is absolutely the point of reference for contemporary art in the world. New York is still relying on the glories of a bygone time, floating with the same names from the past. London is more fluid, dynamic and robust – you can find anything you want, the offering is absolutely complete. It’s the same for jewellery and architecture – London has become the hub for exclusive, unique objets d’art. That said, we are looking at other places too – but that’s a secret for now! The Art Collector: Your gallery represents an idiosyncratic group of artists, each of whom have a unique style. What is the ethos of the gallery? Before I decide to work with an artist, I have to think about buying their works. I could never sell something that I wouldn’t buy for myself. This is the first step on deciding whether to work with an artist or not. You need to be able to transfer the pathos and passion of an art work to people, especially those who are considering investing in the art work. You need to be able to understand the artist and their concept – what they are trying to express – so it’s important for me to feel the urge to buy the art myself before offering in to the market. Most of the artists we exhibit I have collected before showcasing. Each of our artists is unique. We are the platform for artists that say ‘I want to be unique’. The difference between us and other galleries is that we give a certain level of customer service. At many galleries one can feel unwelcome and that the art is inaccessible. We have various genres of art: street art, pop art, abstract. The offer has to be complete because everyone’s tastes and collections are different! You have to be diverse and give people the chance to come into a gallery and find something they like and would want to collect. The Art Collector: How important is for the artist – independently of the gallery – to brand themselves, be it conceptually or stylistically etc.? Timing is of the essence as it is the base for popularity. You have to do the right thing at the right moment, people need to be able to understand your language. Branding has been important since Andy Warhol (my favourite artist), who was the champion of this. For me, Andy Warhol is more significant than Picasso. He managed to singlehandedly change the art business and art world model and change the lifestyle of people – even the ‘non-collectors’. His significance was a widespread phenomenon that continues to have an impact today. Branding is a good thing, but it ultimately depends how you manage it. There is a saying, ‘A glass of red wine at dinner is good for your health but if you drink three bottles a day you’re going to kill yourself!’. Branding has to be managed – whether in real life or via social media, it is one’s reputation. The Art Collector: There are a plethora of art fairs that now exist to the extent that they have been branded ‘pop-up malls’. How do you cut out the noise? There is an over-saturation of art fairs and it just creates confusion for collectors. The only benefit from all this ‘noise’ is that it allows people to discover new areas of interest. However, it’s very complicated to know what is ‘right’, especially for new collectors or those who are learning about art. There are many fairs but few right ones. The participation fee for galleries is very high so one has to be selective. It does provide an opportunity to explore new territories and new markets. For example, we participated in Art Singapore which has an interesting, emerging market. We also participated in Art Warsaw with our artist Igor Mitoraj, which was a new territory for us. 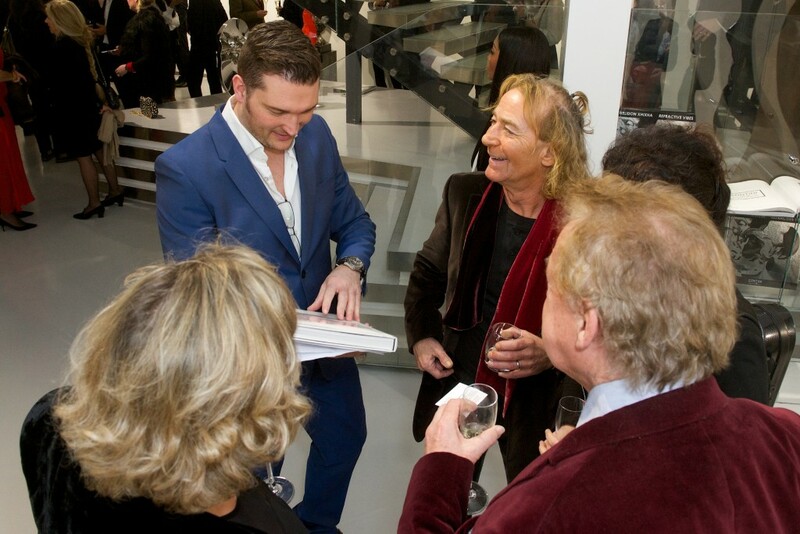 Aside from art fairs, we organise many events ourselves. 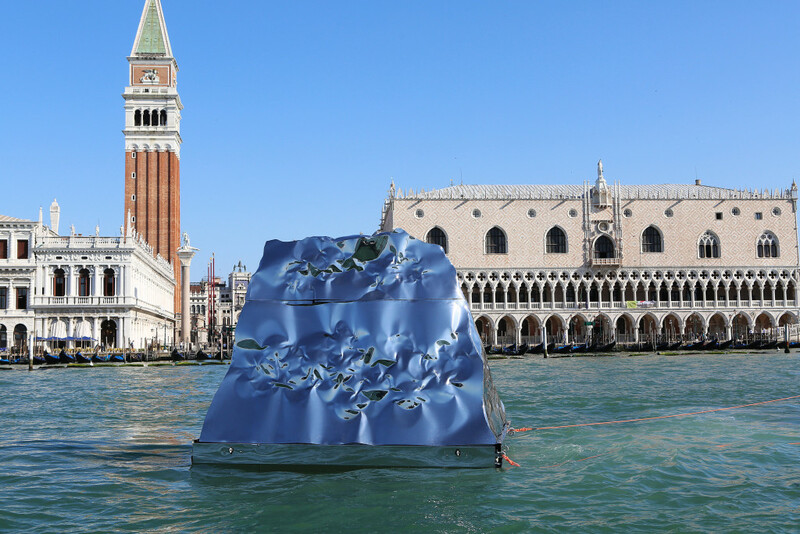 We’ve hosted events around the Venice biennale, we will be showcasing Mitoraj in Pompeii in June, and our current artist, Helidon XhiXha, in Pietrosanta this year. Syrian Arab Republic Pavilion, San Servolo island. the 56th Venice Biennale. Shown in front of St Marks Sqaure and travelling along the grand canal under The Rialto Bridge. The Art Collector: What are your future plans? 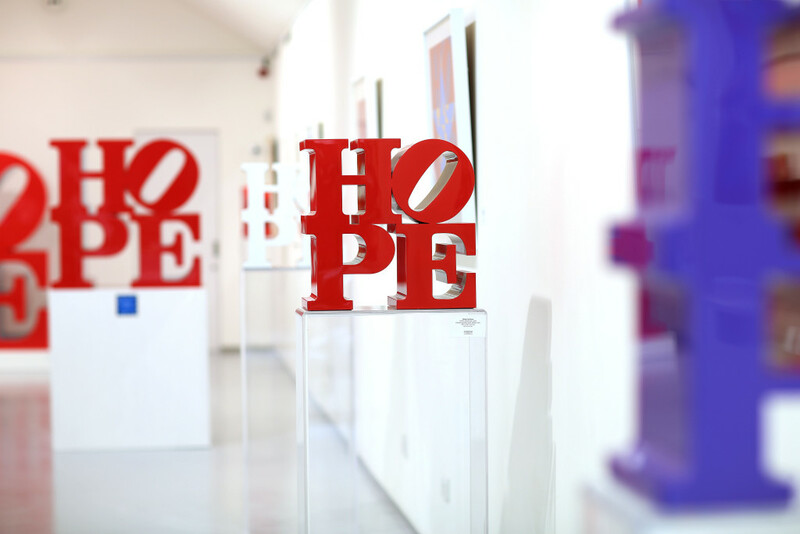 Our current show is with the artist Helidon XhiXha. We are organising mini-exhibitions/installations around the world and have a solo show in London. Art is international. Xhixha’s show is a statement on our ability to alter perspective, as visually seen in the skewed reflection from his work. By making the exhibition global we are able to implement the concept of ‘altered perception’ whilst educating people through the artists’ concept. 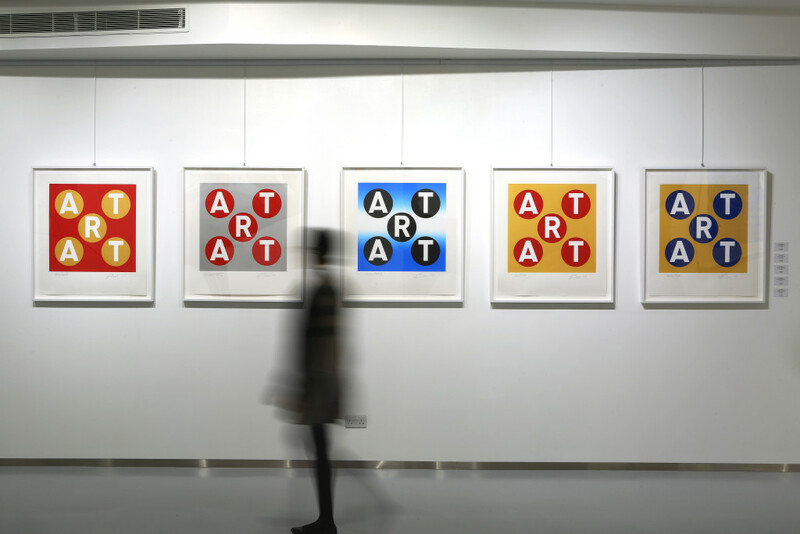 The Art Collector: Where do you think contemporary art is headed? Art needs to be provocative, to show what it wants to express to people. It ultimately depends on the period in which the artist is living. For example, satirical art has always existed throughout the course of history, as has overtly political art. We have to see how social and political situations pan out; there is constant change from one year to ten years. Art is a work in progress, like the human race. We should wait a couple of years to find the new mavericks (of the ilk of Duchamp); the new patrons and how they influence art and the concept of art. One factor that has hugely influenced the world of art and will continue to do so is technology. We’ve introduced a new app that enables people to ‘visualise’ the art through it. We have an app that creates a virtual reality-type system whereby you can scroll and turn the art work and see how it would appear inside your own space. It is hugely important for international clients and helps facilitate understanding of the size of the art works, especially sculpture! Written by: admin on March 31, 2016.on May 16, 2016.